The day after the party here we took a day of relax . 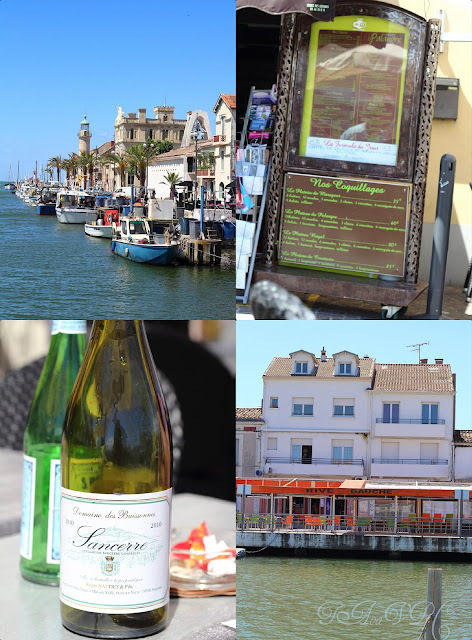 As we love so much fish and the seaside we decided to have lunch in "Le Grau du Roi" , a village on the coast and then to make a "siesta" at the beach . 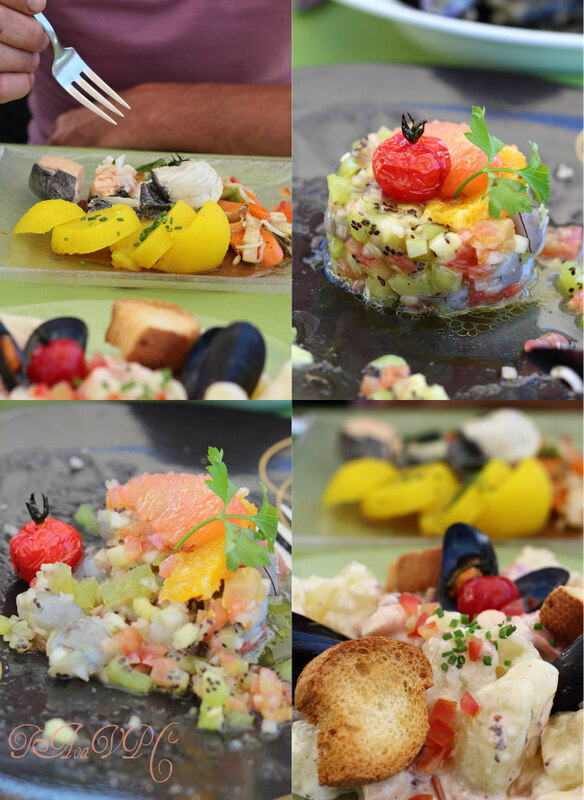 and I must say that everything was delicious with very fresh fish and lots of tasty vegetables .Before leaving I asked to enter into the kitchen to make my compliments to the chef and then I realised why everything was so good : he was skinny annd with an healthy look ! 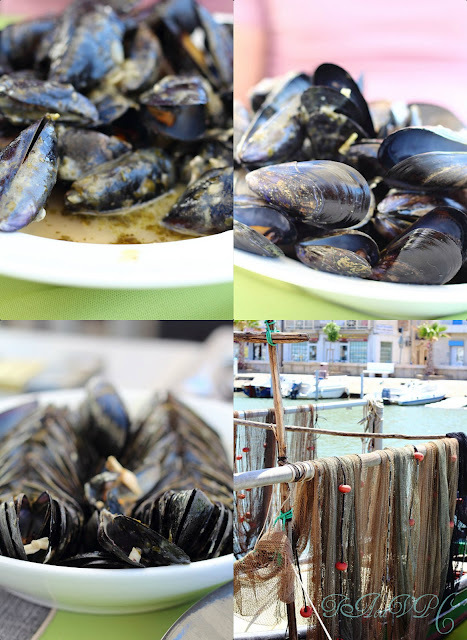 I commanded a traditional recipe of Camargue "Brasucade de moules " here the recipe in french : it's very easy to do and nice to share with friends on summertime . Wash the mussels , put them in a big Paella plate and on the fire ( you'll need a big fire , better on wood like in the video here ) throw the water that mussel will eject , then add thhe marinade and let cook about 5 minutes . To eat immediately with friends while tasting a chilly Rosé ! oh la la.. tout ca a l'air tout simplement "divine"! bounjour Sandra , oui : c'est un bon adresse . Tout était delicieux .